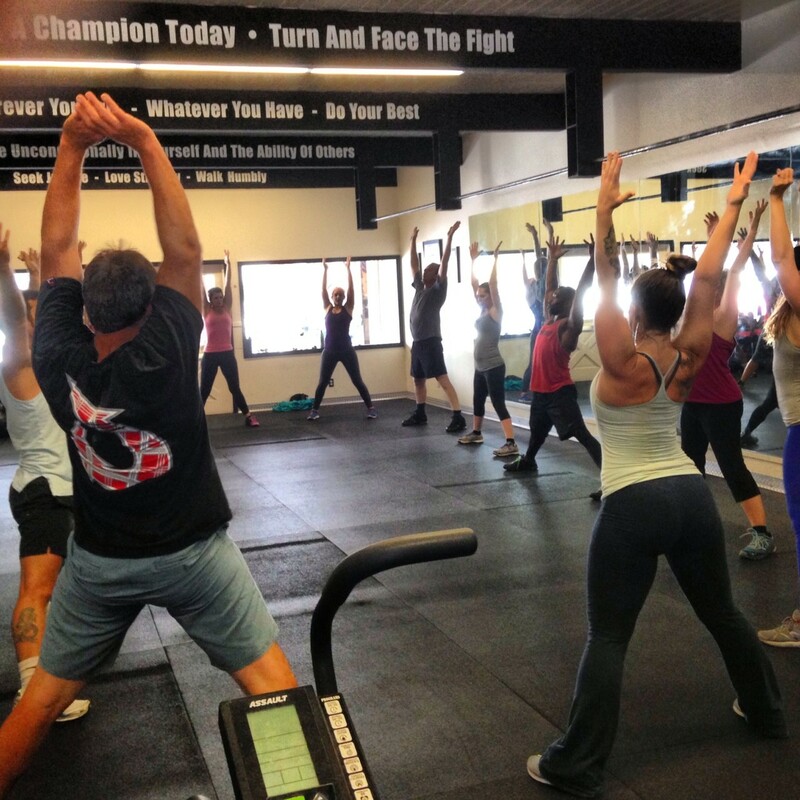 The two organic programs to CrossFit Amundson are known as CAMP (CrossFit Amundson Maximum Performance) and LIGHT (Lifetime Integrated Gymnastic Holistic Training). CAMP was originally started in 2012 when UFC Fighter Gray Maynard expressed interest in training with Greg Amundson and CrossFit, yet needed specific programming and lighter weights to excel in his sport. LIGHT has a similar approach to CAMP, and focuses on high intensity interval training and slightly scaled traditional CrossFit workouts. Both programs (as depicted in the photograph above) are extremely popular, yield amazing results, are fun, and super challenging. Many of the CrossFit gyms around the Country who follow CrossFit Amundson and our programming have expressed interest in implementing their own CAMP and LIGHT programs.